Our roofs usually go unnoticed for years, despite covering the most valuable asset we possess. But when a damp patch appears on the ceiling or water starts leaking into our home, the condition of our roofing quickly becomes of great importance. Here in the UK we get our fair share of wind and rain, which over time can cause a wide range of issues with roofing. The older your roof is, the more likely it is to develop problems. Indeed, most issues arise in the last 25-30 per cent of a roof's life. If you've spotted a leak or a damp patch, it's a good idea to inspect your roof both inside and out. An external inspection may be possible with a pair of binoculars, while an internal inspection should be carried out via the loft hatch – but only if it safe to do so. 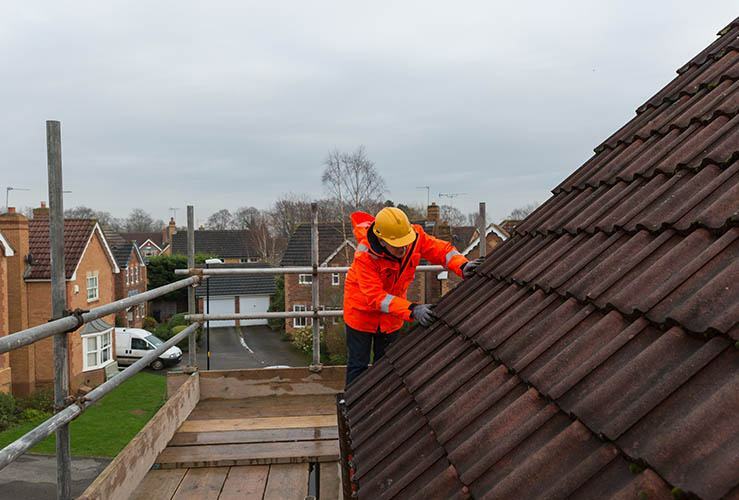 Once you have a better idea of what the issue is, you should contact a number of specialist roofing firms to carry out surveys and provide quotations. Here we look at some of the most common roofing problems and how to tackle them. Slipped tiles may be the result of a specific failed tile, or it may be due to severe weather. Such an issue is straightforward to address. More extensive slippage could be the result of corroded nails or battens, or deteriorated battens. 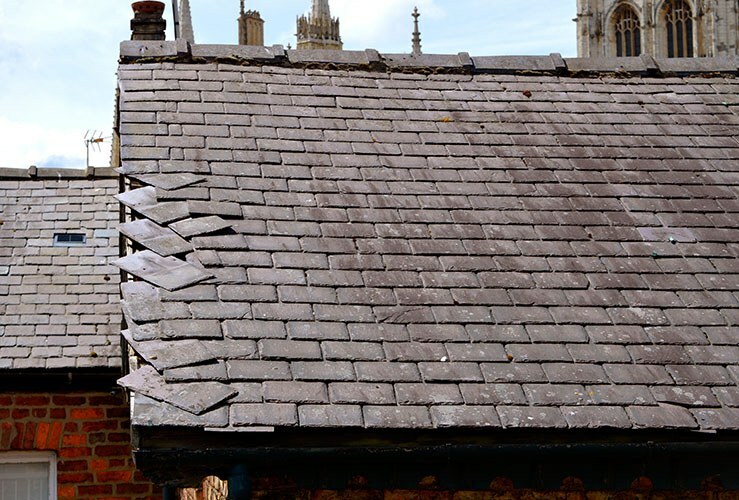 Weathering can damage ridge tiles directly or affect the mortar that holds them in place. This is remedied by removing the ridge tiles, clearing them of mortar and re-installing them with new mortar. A blocked valley can cause water overflow – a problem that can be addressed easily by clearing the debris. Damaged lead in the valley, however, can be a bigger issue. Any cracked lead work will need to be replaced, although a temporary fix can be carried out with self-adhesive flashing tape. 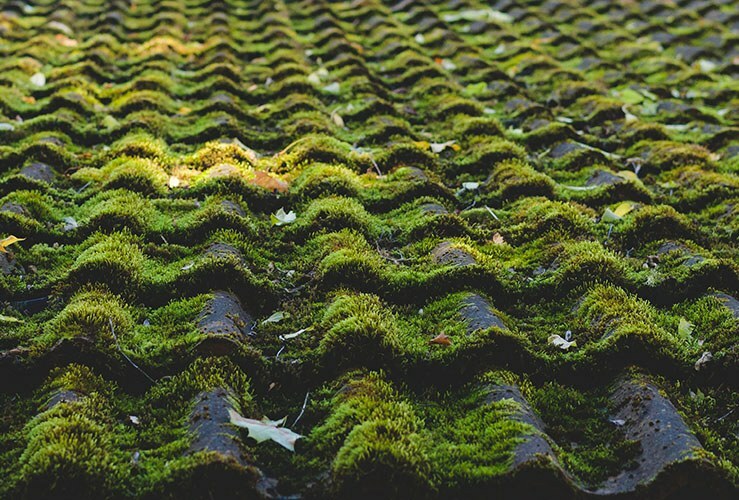 Roof moss rarely causes roofing problems, but should be removed if it blocks up gutters and other drainage systems on the roof. Because they become pitted over time, concrete tiles provide a surface that is easy for moss to colonise. Damaged guttering can easily lead to leaks, especially during heavy rain. A leaking joint can be resealed fairly easily, but a broken downpipe may need to be replaced. Felt was developed to provide another layer of protection under tiles. Localised areas can be re-patched inexpensively. More extensive damage accompanied by leaks could well mean the roof has bigger problems. Condensation in the roof space usually occurs because the roofing felt is impermeable and therefore does not let moisture escape. This can see water droplets accumulate and fall onto the top of the ceiling below, causing damp. Impermeable felt was introduced in the 1930s, with breathable membranes following in the 1980s. The low cost remedy to roof space condensation is to buy a roof ventilator. Alternatively, you could replace the impermeable felt with a breathable version – naturally a more costly option. Wet or rotting roof timbers could be serious. In the first instance, remedy the roofing problem that damaged the timber, then gauge the extent of damage to the beams and rafters before organising repairs. 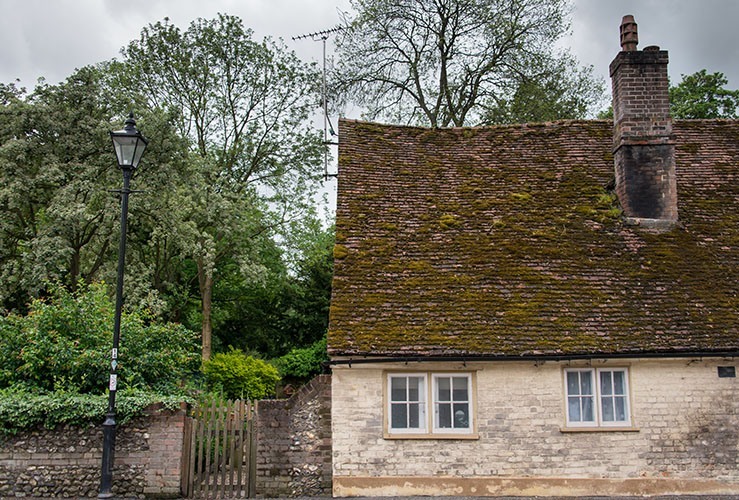 If you're noticing your chimney's mortar falling out, it's prudent to get it repointed. The haunching at the top of the chimney may also need to be replaced. These repairs are also an opportunity to have the lead flashing around the chimney renewed if necessary. Undulating or sagging roofs are not necessarily problematic. Indeed, dips in the roofs of older buildings are preserved since they add a certain character. However, sagging is only acceptable if the roof is stable. If the shape of the roof continues to change, it could be more serious. In this case, the services of a structural engineer should be enlisted to identify the cause and provide a solution. startrescue.co.uk always recommend seeking the services of a professional tradesperson If you're not entirely comfortable carrying out repairs or maintenance by yourself.